An iron problem is characterized by the red-brown staining of bathroom fixtures and laundry. In well water, iron usually occurs in its ferrous state. The water is clear when drawn but once exposed to air the iron changes into a ferric (oxidized) state. The water turns red and forms insoluble “rust” particles. Staining can be caused by as little as 0.3 milligrams per litre (mg/L). Depending on the iron concentration there are several solutions to this aggravating water problem. We specialize in treating well water and surface water. We will be there every step of the way to walk you through the important steps of finding the proper water treatment system. There is no reason to have someone come to your home and pay the high prices when you have us to help you out free of charge. That is correct! free no pressure help from start to finish. 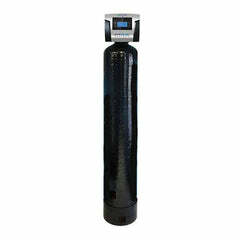 We only offer the best water treatment systems with the best warranties on the market and we give you lifetime free technical support. You wont get that kind of service from a local company. So what are you waiting for? become part of our family and get the best water you can get at a price you can afford! Photo taken from one of our many satisfied customers. Before and after he installed our SoftPro Elite IronMaster system. 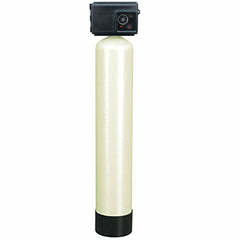 SoftPro® AIO Series " Elite Ironmaster" Removes Iron, Sulfur and Manganese From Your Water. 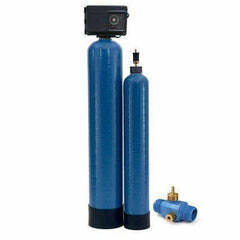 Iron Filter | Chemical Free Iron, Manganese & Sulfur Removal System. 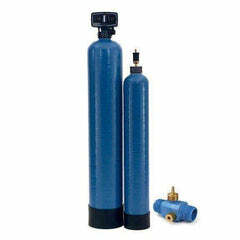 GreenSand Filter Removes Iron, Sulfur. Uses chemicals to oxidize for removal.